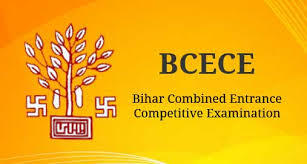 BCECE is conducted in two integral stages. Needless to say, both stages are a quite different than one another. Let’s study these two stages in detail. In the first stage of the examination, there will be questions from four different streams - physics, chemistry, biology, and mathematics. The total number of questions will be 200 with 50 questions for each section. All students are required to appear for physics and chemistry subjects while mathematics and biology are options subjects. These two optional subjects are for students who apply for engineering and medical fields. Note: There is no negative marking in the examination. Just like the first stage, BCECE stage 2 also contains questions from four subjects — physics, biology, chemistry, and mathematics. However, in stage 2, there will be total 100 questions from each section. So there will be 400 questions in total in the paper for an aspirant to crack. For a correct answer, an applicant gets +4 while for a wrong answer -1. Both BCECE Stage 1 and 2 are MCQ based questions.